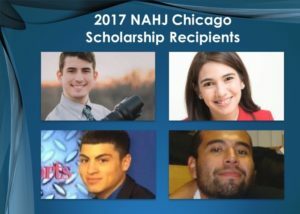 Scholarship Brunch FOR NAHJ MEMBERS ONLY!!! The NAHJ Chicago Board is excited to host a check presentation for the recipients of the 2017 scholarships. We will be serving a light breakfast and also hold our September meeting at this time.